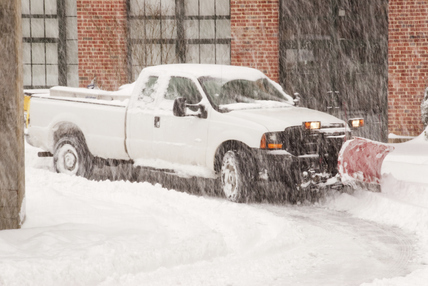 Get Better Dirty Snow Removal With Expert Snow Hauling Now! After all is said and done, your driveway or parking lot is clear, and grounds are salted and safe, you look out of your window to see a large snow pile that is blackening at the edges from exhaust fumes and dirt. Yeah, it’s unsightly! Unless you plan on using your snow pile as a source of sledding fun, you should give Ogden Snow Removal a call! Snow piles can obstruct views from your yard to your neighbors, or from oncoming traffic in a parking lot. It poses a risk and causes problems. Well, we have the solution for you: snow hauling! Snow removal dates back to the 1800’s when horses and wooden plows trekked through billowing white snowbanks trying to push the snow along and out of the way. We can’t imagine how cold, stressful and daunting this process was. It wasn’t until the early 1900’s when motorized snow plows were made and the idea of attaching blades to vehicles like pickup trucks, SUVS, and ATVs was born. Winters can be troublesome but there’s always an idea or a reform that brings about a resolution. In fact, in 1917, the Rochester Bureau of Municipal Research reported on the problems of snow removal in New York. Back then, leaving melting snow lying around or draining snow into sewers and rivers was the norm. The predominant problem in past years focused on lowering costs to dump, regardless of the level of environmental friendliness the solution suggested. In recent years, neighborhoods, government agencies and municipalities have found it increasingly imperative that snow be completely removed from a premise as opposed to piling or dumping just anywhere in our natural habitat due to the Clean Water Act and the Ocean Dumping Act of 1972. After all, piled up snow—filled with dirt, chemicals and who knows what—melts when temperatures rise and becomes extremely harmful when filtered into our draining system and the ground. Poisonous metals and contaminants can build up in the soil and damage humans via direct and indirect contact. The Huffington Post warns us that urban areas are more prone to carcinogenic pollutants that stem from vehicle exhaust fumes and also has the added threat of chemically mixing and altering to form toxic chemicals such as benzene, toluene, ethylbenzene and xylenes. Simply put, snow hauling is an engineered act in the fight against pollution! Snow removal in Ogden, UT by hauling is a great addition to your snow removal tactics so we always recommend this to our clients. Not all snow removal companies have the utilities, equipment, insurance and clearance to dispose of snow in a safe and proper manner. 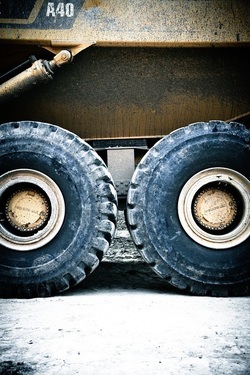 Let Ogden Snow Removal transport mounds of snow to a snow dump or off-site disposal facility. With using the best winter arsenal, like dump trucks, plows, loaders, excavators and more, we can secure an area for total snow removal. Snow hauling is just as affordable as snow plowing and can easily be included in your yearly contract or per hour rate. Don’t hesitate to give us a call at 801-658-9343 to discuss your options! Get me my FREE QUOTE!